Good morning! Welcome to the first day of the new release blog hop for Technique Tuesday! 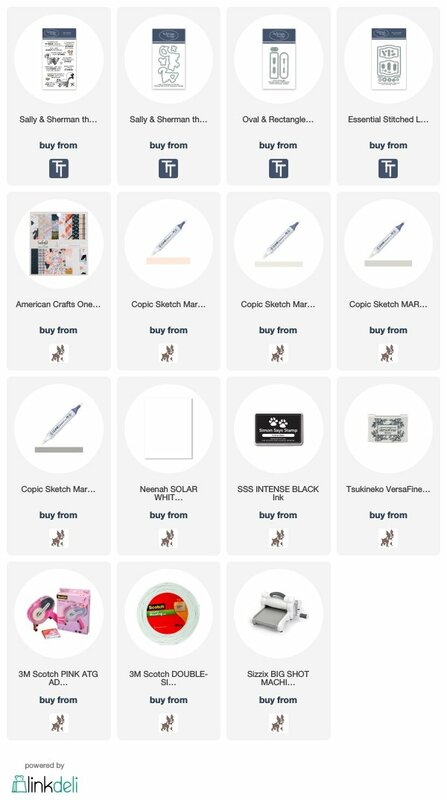 All products are now available at Technique Tuesday in the new product category HERE. 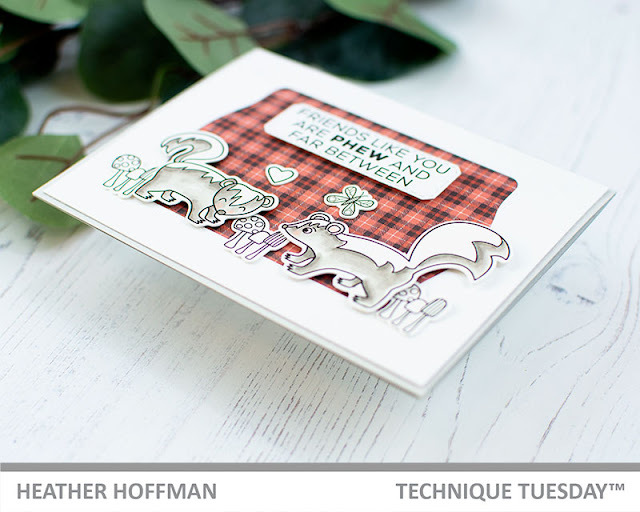 Today I'm combining a few of the new sets to create this fun little card featuring the cutest skunks you ever saw! I started off by cutting the largest frame from Essential Stitched Labels Crafting Dies from a panel of white cardstock - then I kept that for another use, and used the negative to back with some pretty plaid pattern paper from an older pad in my stash. I linked a pad below by the same designer, but a newer set of designs. Next, I colored up the two cute skunks from Sally and Sherman the Skunks stamp set. 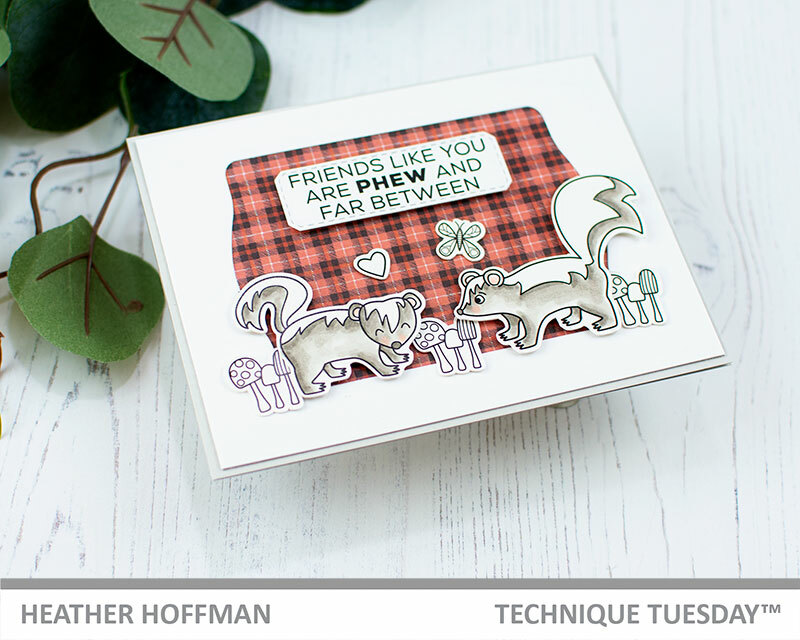 I also stamped one of the sentiments from the set on a panel die cut with Oval & Rectangle Stitched Labels Dies. Finally, I mounted the skunks and sentiment panel with foam adhesive, and the other smaller elements directly on the card. This gives just a bit of dimension. I finished off by mounting that panel on a soft gray cardbase. I love the neutral colors with a pop of bright red! Great card, fun pun love it. Thank you for sharing. There's nothing funnier than a good pun! Thank you! Adorable card! Such a cute play on words & cte card. Love this set and your card. Thisskunk set is a must have! Wonderful card! 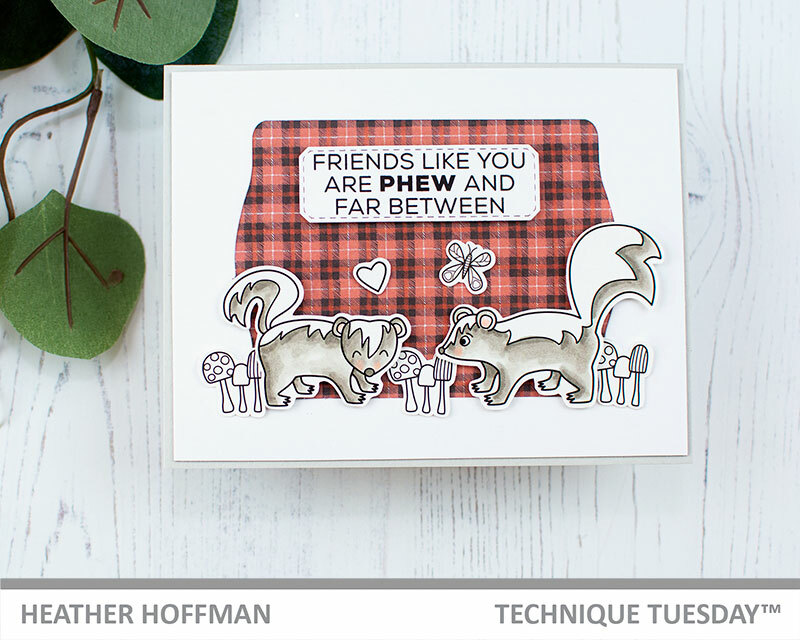 There are enough cute sentiments to go along with these little stinkers that you can use them for lots of different occasions. The more versatility the better I always say. Sally and Sherman are so cute. Love the plaid background with them popped up and colored lightly. It makes them stand out pretty! Love the stamp and how you paired it with the pop of plaid! Love that stamp set. Those two little stinkers would be perfect for my great-grandkids cards. Love your card. these skunks. they are as cute as he is. LOVE the skunks! Darling card! Fun sentiment, and I love the plaid background! I have a skunk that lives in my yard. I named her Petunia. I rarely see her any more, but she used to hang out in my meadow just before nightfall. Oh My! love these little skunks! they are so cute, love your card. So cute with the skunks and love the plaid background. Love your card and the stamp set. It's so stinking cute! lol So very funny and quite adorable. love the use of the plaid in the window .. sets off the stamp... very cute! those two are soooo adorable!!! I love the soft coloring of the skunks and that plaid background is GREAT! Sooooo cute! Such an adorable card! Love the skunks. So Stinkin' cute! Love the plaid paper! This is too cute! Love the sentiment. What a cutie card!!! Beautiful layout and colouring!!! I love your use of the new label dies to make the focal point opening. 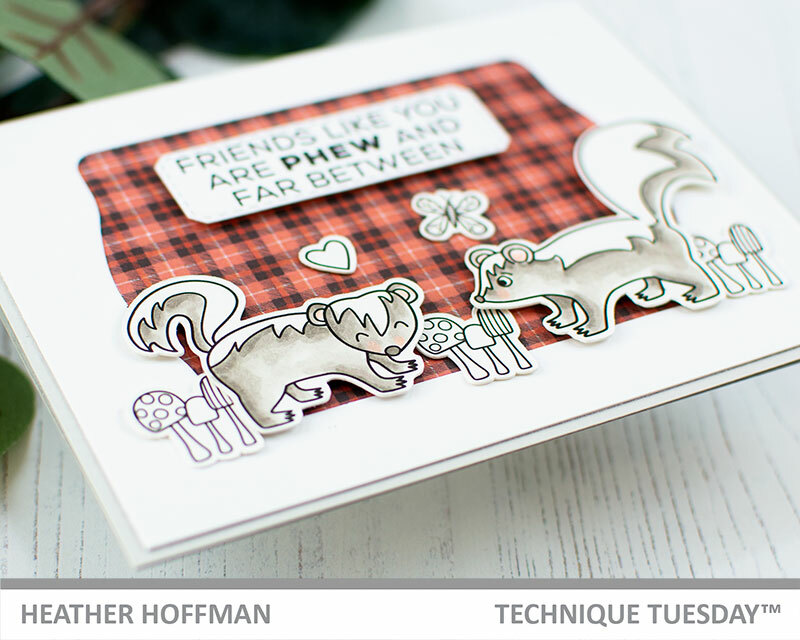 The background of this card is fantastic and really sets off those adorable skunks!! Love your scene with the skunks. So cute. Oh so sweet! Love the plaid background and how you used the die to create the fun window.